Twenty years ago, me and two others frequently crowded around one keyboard to play the local multiplayer in Triplane Turmoil (Dodekaedron Software, 1996). Don't worry if you don't know that game, that then-shareware title probably stayed mostly within Finnish borders. That game followed in the tradition of Sopwith (BMB Compuscience, 1984) and Wings of Fury (Brøderbund Software, 1987-1990). Now, a single-player game using the same core idea and control scheme but with procedurally generated levels has arrived and so far, I've been having plenty of fun with it. It's safer to do the dogfighting well above the ground, even if it doesn't result in spectacular screenshots. What's the core idea, then? 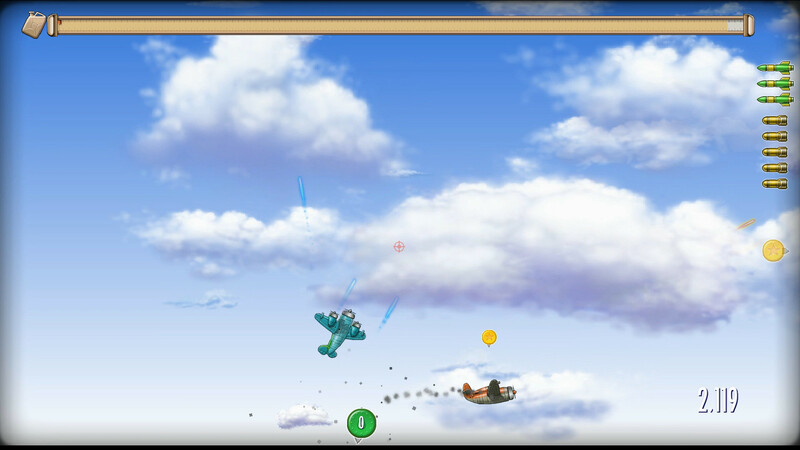 Rogue Aces is an arcade-style flight game and a shmup: unlike typical horizontal-scrolling shmups, the plane rotates 360 degrees and it flies in the direction its nose points at, but gravity, inertia and the limited engine power affect the movement. The world scrolls primarily horizontally in both directions. So, to make a U-turn, the plane has to do a half-roll that takes both vertical and horizontal space. In a sense, this isn't much unlike Luftrausers (Vlambeer/Devolver Digital, 2014) either but far less off-the-wall and less frenetic. It definitely doesn't make any pretense of realism, but the weapons are limited to just a front cannon, rockets and bombs. The latter two also need to be rearmed at the bases. 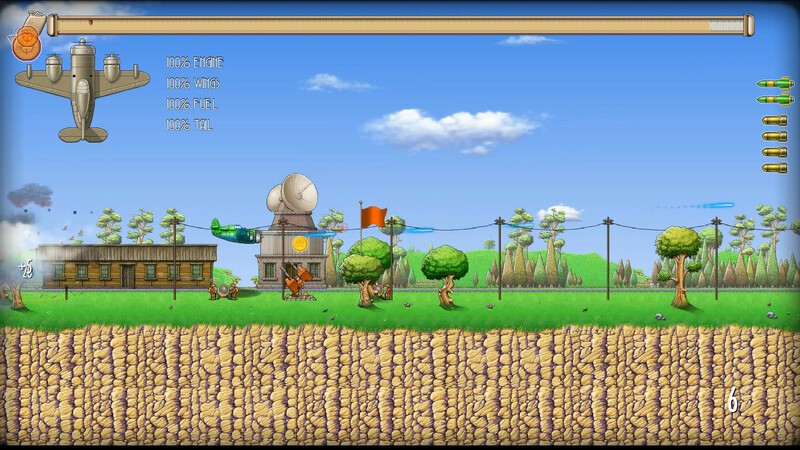 Likewise, the player has to refuel and repair their plane at the bases, as there's no autorepair either. 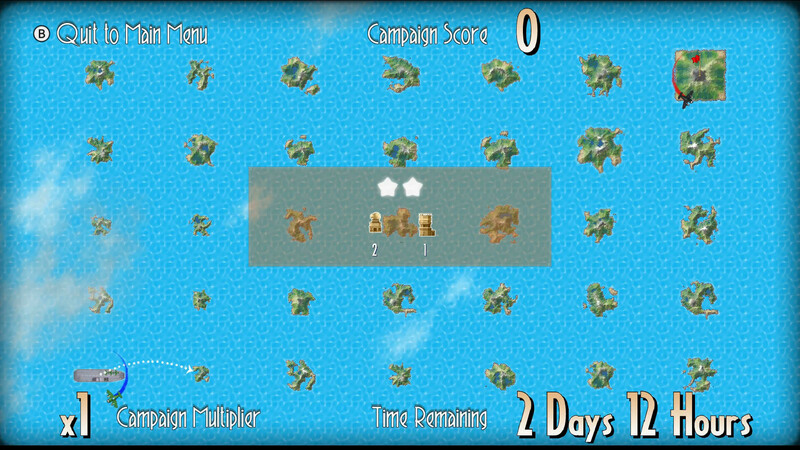 The player also gets their next missions by landing at the base. These missions are typically split into two categories: "destroy any X enemy units of type Y" or "destroy enemy building(s) Z at this specific location". While this means a fair part of the game will be flying back and forth, the player will sooner than later reserve their bombs to destroying ground targets such as the plane hangars and air control towers next to enemy airfields, which leaves them open for claiming them for resupply purposes, effectively extending the player's range. There's also reason enough to delay returning to the base right away, because if the player has destroyed targets before they're given as missions, the reward points are doubled. Plus if the player uses the autopilot for landing, each landing eats away a fair bit of the points as well. Other than the procedurally generated levels, the roguelite aspect comes to play in the form of rather bland powerups that destroyed enemy aeroplanes occasionally drop: increased cannon damage and firing rate, more fuel, more armour, extra rockets or bombs to carry. The game isn't a graphical powerhouse. The planes etc. don't use tweening in their animation, there aren't many visual effects shown and the somewhat cartoony graphics style isn't very memorable either. The same applies to the music as well -- having just finished playing the game for several hours, the only pieces I remember of the music is the title music (because it shouts the game's name), the few notes that play when a mission is marked complete at a base and the credits tune just because Tchaikovsky's 1812 Overture's finale part was in Wizkid (Sensible Software/Ocean, 1992) as well. 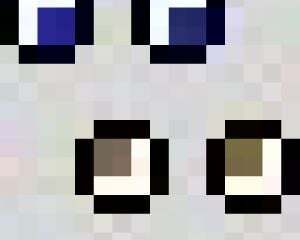 Chances are, you won't notice much of the pixel art as you play the game. I sure didn't. There are two control schemes: alternative (which is the default) and classic. In the former, the plane turns towards the direction the stick is pressed at. In the latter, the thumbstick is used to rotate the plane's nose up or down. The flying controls aren't limited to that: the right thumbstick is used to increase and decrease throttle. Then there are tricks related to at least ejecting from the plane and stealing an enemy's plane while in the air. There are no multiplayer modes at all, but there are three different campaign modes: the normal campaign, the frontline campaign and the veteran campaign. So far, I've described how the normal and the veteran campaigns work. The main difference is that in the latter, there is no automatic take-off or automatic landing. Both modes, though, give only one life (and three planes) to work on. For those who don't like that losing a mission resets the whole campaign, there's the frontline campaign. That has multiple smaller islands (scenarios) laid out in a map with destruction goals for each. The player starts from one corner and has to advance to the other corner as the islands grow bigger, the target lists longer and the Baron (a much harder enemy in a fighter) is fought repeatedly. Still, this is an easier mode than the normal campaign. Frontline campaign map, as I'm picking the first map to play at. That's two radar dishes to destroy and one airfield to capture. The game has problems, too. Having expanded the world vertically to include blimps and bombers means the viewscreen isn't large enough and there's no altitude meter telling how far above the sea/ground the plane is. The latter means the player shouldn't make a straight dive downwards because the background alone isn't good enough in telling how soon the player has to start pulling up to avoid making a splash or hit the top of a mountain. The former means that there's no warning when a vertical cliff face not unlike the white cliffs of Dover (except these aren't white) appears on the side of the screen. The game isn't bug-free either; twice, I found myself taking off and flying to the west with control only over the throttle. For me, this game was worth the price. The core gameplay loop is addicting enough to carry the game for hours despite the total absence of a plot. However, for those who need multiplayer, any kind of narrative or hand-crafted levels with set pieces to enjoy a game, Rogue Aces is a poor choice.